Loghat Translation is a leading UK-based provider of professional Arabic translation services. As we specialise exclusively in translating from English to Arabic and Arabic to English, our Arabic translation services are of unique and unparalleled quality. We serve businesses, companies, institutions and research centres of all sizes with all their Arabic translation needs. Our Arabic to English translation services/English to Arabic translation services cover a wide range of fields, including law, marketing, public relations, education, economics, politics, entertainment, management and technology, medicine, religion, among other fields. All of our translators are native Arabic-English bilingual professionals with over 20 years' experience in translation from Arabic to English and English to Arabic. Our services are completed within fast turnaround times at very competitive and reasonable prices and all translations are rigorously reviewed and proofread for quality assurance before delivery. If you are a new client and want to try before you buy, we offer a 100-word sample option to prove we are worth your trust. Just email us your sample. Arabic translation is the unique art of rendering an English-language text into Arabic or vice versa accurately and faithfully, without altering or distorting the original intended meaning - and more importantly, idiomatically. As a professional Arabic translation services provider, we will ensure the translation of your document, be it English or Arabic, will be faithful to the original, accurate, idiomatic and reads naturally to your target audience. We only provide Arabic to English and English to Arabic translation services. Our sole and exclusive focus on this specific language pair only has enable us to become one of the most reputable Arabic translation services providers, not only in the UK but in the US and around the world. Over 90% of our business comes through recommendations and words of mouth. We employ only highly experienced bilingual translators with at least 10 years' experience in translation from Arabic into English and English into Arabic. They must also have relevant academic qualifications and a proven track record of excellent translations in both language pair. We never use Google Translate or any other software in our translation. All our translations, from English to Arabic and vice versa, are done by human Arabic translators. We guarantee efficient and fast turnaround times. We can - on average - translate up to 3,000 words within 24 hours. This will also depend on the complexity and nature of the text you want to translate. For an exact delivery time, write to us. We ensure that our fast delivery never affects quality which remains our number 1 priority. We also provide an express service on demand. How do we translate your document? The Arabic language is a very rich language that is full of nuances and so is the English language, a fact that has made it difficult so far for all machine translation software, programmes or tools to replace the need for human brains. As a professional Arabic translation services provider, we do all our work manually through highly qualified translators and linguists. We never use Google Translate or any similar tools, which – no matter how advanced they are – cannot capture the soul and heart of the written text, or its subtleties. We not only rely on human brains to do our job, but we also ensure that each translation assignment or request is allocated to the right translator, depending on the areas they specialise in and their mother tongue in relation to the source and target language. By doing so, we essentially ensure that your assignment is handled by a specialist professional translator who knows their area of expertise inside out and upholds the highest values of accuracy, faithfulness and idiomatic language in their translations. Once the translation is completed, it is then sent for a review and final check by a senior translator editor to make sure that it is an excellent rendition of the original, be it English or Arabic. 1. Translation of laws, legal regulations, agreements, contracts and certificates. 2. Transation of marketing, PR and promotional material. 3. 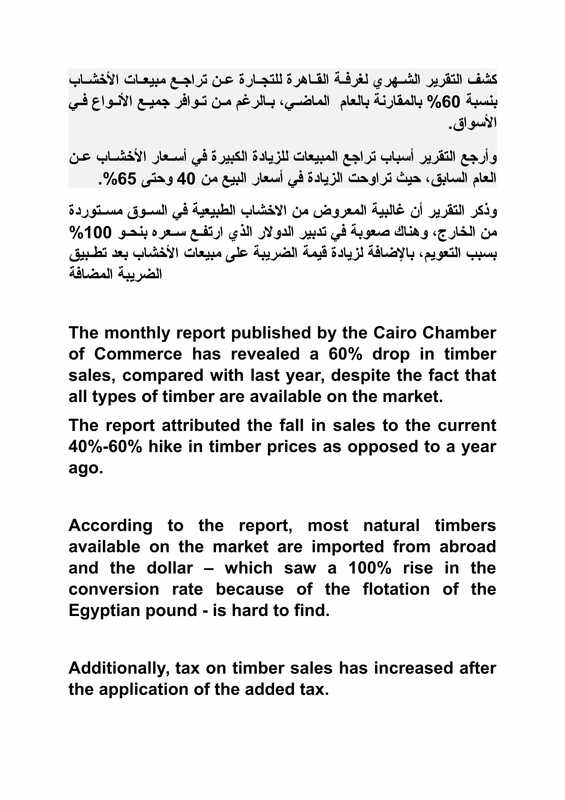 Translation of financial and economic reports and publications. 4. Translation of learning and teaching material. 5. Translation of news articles, press reports, op-eds and commentaries. 6. Translation of political and strategic reports and statements. 7. Translation of medical and technical material. 8. Translation of religious texts, books and other content. 9. Translation of corporate communications and press releases. 10. Translation of cultural and entertainment content. Why does high-quality Arabic translation matter? Today, the Arabic language is spoken by over 250 million people in the Middle East and North Africa, let alone many others elsewhere. It is the official language used in laws, contracts, marketing material, agreements, business deals, press releases, and many other written forms. For this reason, Arabic translation is a service of vital and crucial importance, so it goes without saying that getting your original Arabic or English text translated accurately, expertly and idiomatically is an absolute necessity. Over the past years, the translation market has attracted amateur translators and linguists who do not have any qualifications and think that translation is a matter of replacing words from one language with others without capturing the heart and soul and the correct meaning of the original text. Regrettably, many of today's Arabic translations are not even performed by humans but by Google Translate, which can lead to serious consequences if relied on. No matter how developed it is, Google Translate can never do the job of a professional Arabic-English/English-Arabic translator. If you do a quick search online about how many times catastrophes could occur because of mistranslation or a poor quality translation, you will find hundreds and hundreds of examples. 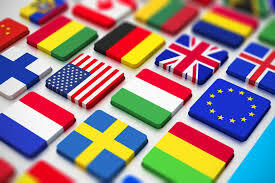 Above all, translation is not an easy task, it is a highly complex process that needs certain requirements to be successfully delivered: a complete grasp of the original, expert knowledge of language (target and source) and immaculate skill to render the heart and soul of the text into the target language without fail. 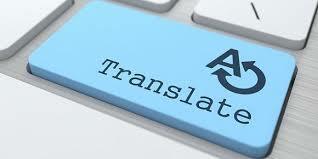 Stage 1: The Arabic or English text is allocated to a translator with experience in the same exact field as the text. Also, the translator’s familiarity with a certain accent or dialect is one element we consider when we allocate assignments. Stage 2: Once the translator has completed the translation, he or she goes back through the produced version carefully to ensure that nothing was lost in translation. Stage 3: Once the translator has completed the second check and is 100% happy with the translation, we allocate it to a reviewer who double-checks the translation is faithful to the original text and is produced in a language that is idiomatic and clear. We are keen to make things as easy and smooth as possible for our clients. 2- State your preferred deadline and any specific instructions you would like the translator to be aware of while they are doing the task. 3- We will aim to respond within 2 hours at the latest with all details. Why our Arabic to English translation services are genuinely unique? Translating from Arabic into English or from English into Arabic is never an easy job; in fact, it is a very serious challenge to be able to convey what is said, for example, in Arabic into English whilst protecting and not losing any of the following: meaning, purport, tone, style, connotation, among other aspects. The same goes for the translation of English-language texts into Arabic. The reason is simple: the two languages represent two completely different cultures, realities and settings. Let’s take a simple example: donkey. If you call, or describe, someone a donkey in an Arabic context, it means you have insulted and degraded him. The word donkey is never used as a word of insult in the European culture. That was just one simple example to shed some light on how tricky and genuinely difficult it can be translate between a language pair representing two different cultures. Fully aware of this fact, we have set in place very stringent requirements for our translators and language reviewers, in order to be able to deliver to our clients an Arabic translation service that is genuinely accurate, faithful and in the meantime idiomatic. 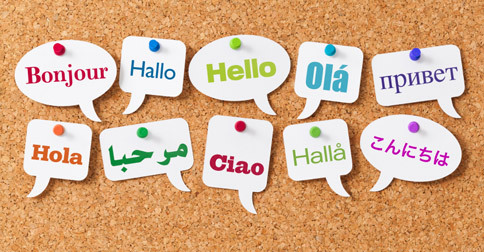 Our translators are bilingual or at least people who experienced both cultures first-hand over a long period of time. Bilinguals who lived in countries of both cultures are able to deliver the meaning from one language to another “intact” in the most understandable form. Similarly, translators who lived in countries of both cultures for many years are expected to have developed a sense and understanding of how best to depict and transfer what is said in one language to the other without anything being lost in translation, whether the original meaning, its tone, connotation, purport or style. Not only that, but once our translations have been completed, they move on to the next layer of scrutiny, again by native speaker reviewers. This is to ensure that the translated text produced is indeed in the best possible shape. Want to test our quality first for free? Send us a sample of 100 words of your text! Why our Arabic to English Translation Services? 1. Expert and Professional: Our Arabic translation services are performed manually - from start to end - by expert translators and linguists with a minimum of 20 years' experience. 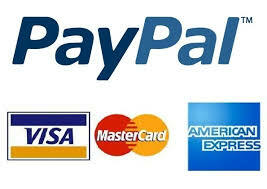 We never use any translation tools or Google Translate, unlike many other service providers. 2. Affordable: We apply a fair pricing policy whereby we provide our excellent quality Arabic translation services for prices that are affordable to all of our clients. 3. Fast Delivery: Without any impact whatsoever on quality, we are well positioned and staffed to complete our translation assignments within fast turnaround times. 4. Quality Control: Before the delivery of any task to our clients, ALL our translated texts are proofread/edited by professional native speakers of the target language, whether Arabic or English. 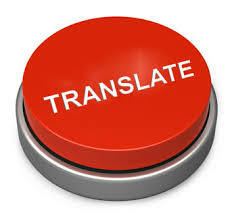 This is to add an extra layer of scrutiny to your translated text and to ensure it is rendered in the way it should. We do not charge extra for the proofreading/editing. 5. Secure & Confidential: Once you have received your translation from us, and are happy with it, we will - subject to your approval - remove it altogether from our systems and computers for confidentiality reasons. We apply a very strict client confidentiality policy. 6. Free Sample: We are perhaps the only Arabic translation services provider that offers a free 100-word translation sample option to new clients. Our objective, as a confident and professional provider, is to give you an opportunity to see our quality of service beforehand. 7. 24/7 Customer Support: We appreciate how time can be of a highly significant value to our clients, so we try our best to be always available to immediately answer any questions or enquiries you may have at any stage up to the completion of the assignment to your satisfaction. Thank you for the great Arabic English translation service you gave me. I really appreciate your Arabic translation services. Just perfect. Not like the problematic literal Arabic translation service I used to have somewhere else. The Loghat Translation team indeed give the best quality Arabic to English translation services out there. I highly recommend the Loghat Translation for their quality and dedication in Arabic translation. They provide the best Arabic to English translation services I have ever seen. I searched a lot until I found this legal Arabic translation services provider. Honestly, the best quality you can find in the market. They even provide tips on technical Arabic translation. Highly recommend. I have tried many agencies for Arabic translation services, but these guys are really some of the best in the market. Certainly recommend for anyone who needs Arabic to English translation services or vice versa. We are currently accepting expressions of interest in freelance Arabic-English and English-Arabic translator roles. In addition to being a native speaker of both languages, you must have at least 10 years’ experience in translation either from Arabic into English or English into Arabic. Our selection process is quite rigorous and you will need to take two tests in your area of expertise. If interested, please email us your CV along with a covering letter explaining why you think we should add you to our pool of expert and professional translators. Professional, fast, affordable and unique Arabic to English translation services. Loghat Translation is a leading UK-based provider of professional Arabic translation services. As we specialise exclusively in translating from English to Arabic and Arabic to English, our Arabic translation services are of unique and unparalleled quality. We serve businesses, companies, institutions and research centres of all sizes with all their Arabic translation needs.